Valid only at Rusnak Mercedes-Benz of Arcadia. Must purchase windshield wiper blades from Rusnak Mercedes-Benz of Arcadia. May not be combined with any other offer or previous purchases. Applies to parts only. Other restrictions may apply. Must be presented at time of write-up. No cash value. Void where prohibited. Offer expires 04/30/19. Valid only at Mercedes-Benz of Arcadia. Limit one coupon per customer. Cannot be combined with any other offer or previous purchases. Must present coupon at time of purchase. Other restrictions may apply. Void where prohibited. No cash value. Offer expires 04/30/19. Valid only at Rusnak Mercedes-Benz of Arcadia. Save $150 with the purchase of four (4) tires or $75 with the purchase of two (2) tires. May not be combined with any other offer or previous purchases. Other restrictions may apply. Must be presented at time of write-up. No cash value. Void where prohibited. Offer expires 05/31/19. Valid only at Rusnak Mercedes-Benz of Arcadia. $100 maximum value. Must be installed at the dealership. 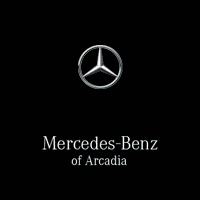 15% off if installed at Mercedes-Benz of Arcadia or 10% off if purchased without installation. May not be combined with any other offer or previous purchases. Applies to parts only. Other restrictions may apply. Must be presented at time of write-up. No cash value. Void where prohibited. Offer expires 04/30/19. Valid only at Mercedes-Benz of Arcadia. Limit one coupon per customer. Cannot be combined with any other offer or previous purchases. Must present coupon at time of purchase. Other restrictions may apply. Void where prohibited. No cash value. Offer valid up to $150. Offer expires 04/30/19.